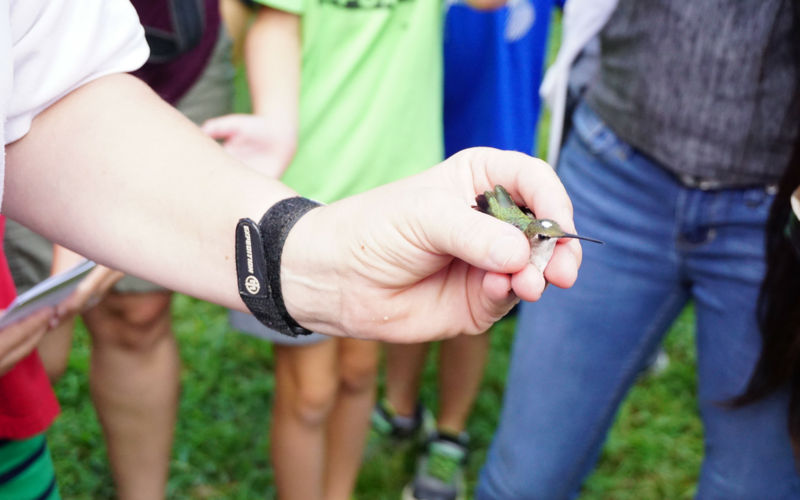 A lifelong fascination with hummingbirds led to my recent attendance at a local hummingbird festival. For hummingbird lovers, the festival is a must! Hand crafted and unique hummingbird feeders are available for purchase, plus there are tons of educational activities to participate in. 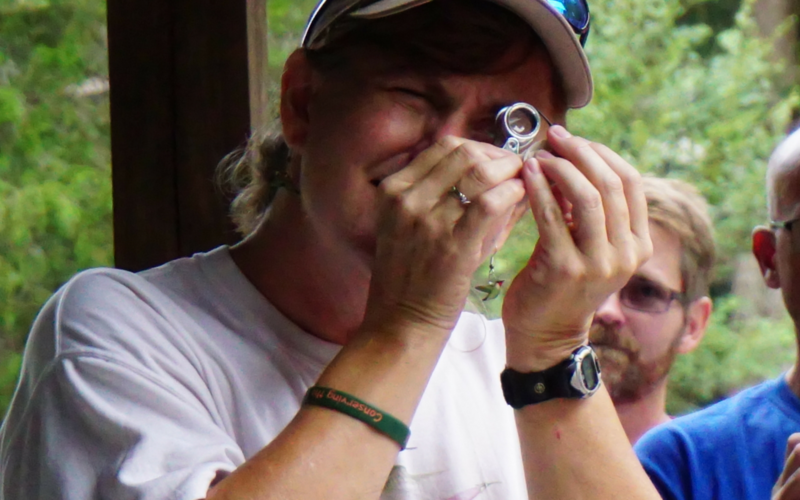 Probably the most noteworthy activity is the Hummingbird Banding experience. Before the Hummingbird Festival, I had never even heard of Hummingbird Banding. Hummingbird banding is the process of catching hummingbirds, marking them with an identifying band and then releasing them. 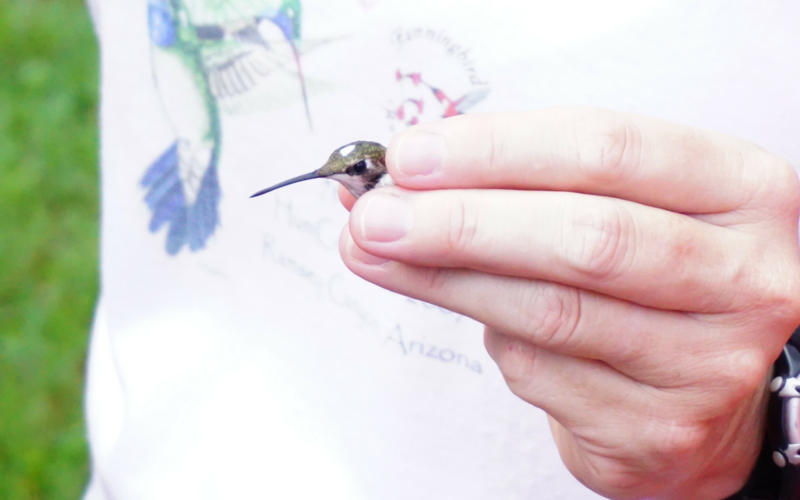 The process allows highly trained and certified individuals to study the movement and behaviors of hummingbirds in order to ensure long-term hummingbird survival. Currently, only around 150 people in the United States and Canada are authorized to band hummingbirds. 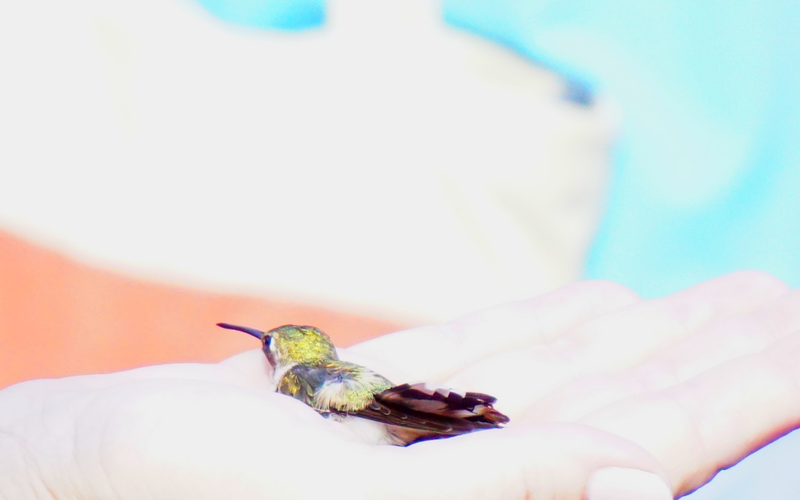 I have to admit, when I first read about hummingbird banding, I wasn’t sure how to feel about it. So I decided to go to the Hummingbird Festival to learn more about the process. I got to meet Susan Campbell, one of the few authorized hummingbird banders in the continent. She is everything you would want a hummingbird bander to be – extremely intelligent, eager to answer questions, gentle with the hummingbirds and fully decked out in hummingbird attire. Susan banded several hummingbirds that day, stopping to ask each and every question asked. The enthusiastic crowd consisted of all ages. We all watched Susan go through the banding process, to eventually release the bird back into the wild. She also promised to release the hummingbirds early if she sensed the first sign of stress. Onlookers could even “adopt” a hummingbird for $20, which allowed donors to participate in releasing the adopted hummingbird. The experience was magical. After attending the event and reading more about the process, I certainly feel more educated about banding. However, I do think the price of adopting hummingbirds should be increased. Funding is essential for hummingbird research and it would be great to see the crowds more limited per bird. Hopefully the annual event will continue to raise awareness and funds.